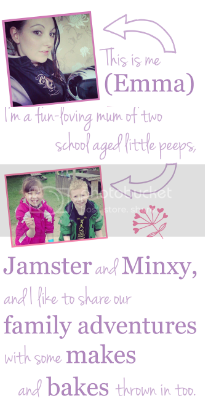 I always think it's nice to show your appreciation to those that help your little ones to learn and grow day after day. Teachers may choose their career but many go above and beyond what is expected so showing thanks at the end of the academic year is a lovely gesture - it's something I and many other parents do. 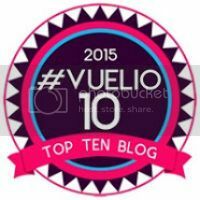 These 9 ideas suit different budgets and will no doubt be gratefully received whether your child's teacher is in need of a little r&r or a tasty treat this summer! This nature themed book inspired by artist Sarah Taylor's home location in the Lake Distrcit, is a great way to relax while improving both colouring and blending skills. This is the latest release from Derwent in collaboration with the illustrator and there are 96 high quality pages to create some beautiful artwork of your own at home. There are lots of tips included on how to use the pencils too which really helps. Beautifully presented, this delicious tin of chocolate biscuits will certainly satisfy any sweet tooth. Inside the hand-illustrated packaging you will find an edible classroom including lots of teaching essentials from a blackboard and mug to highlighters and books for your teacher to indulge in when the term comes to an end. The tin can even be used as storage for their stationery afterwards! This pretty little boxed candle is a perfect gift solution. The soy wax blend with a fresh and invigorating scent of grapefruit and ginger will really awaken senses while looking lovely on a table or mantelpiece. The box itself even has a space designated for your message and the glass candle holder has a than you sticker on so your child's teacher will really know how appreciated they are. At just £4 a box these are exceptionally great value and with eight flavours to select from there is something to suit everyone - there is even popping candy for a playful treat! The packaging is brightly coloured and attractive and the content is truly delicious and very moreish. 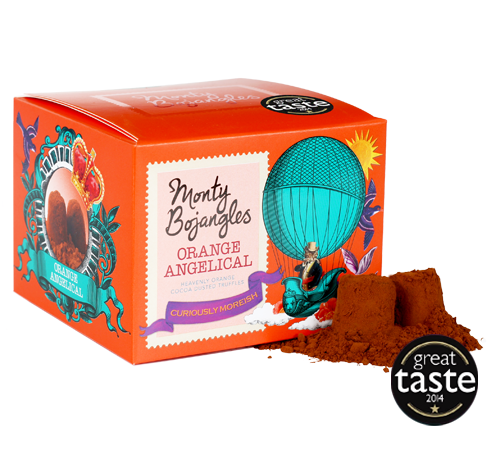 We've been tempted by the Flutter Scotch and Orange Angelic versions recently and they really tantalised our taste buds. They are ideal for the chocoholic and they are suitable for vegetarians as well. The pens in the Vibrant, Fun and Modern range come in a variety of colours with each being rounded in shape for a comfortable writing experience. Teachers spend many hours behind a desk so this will ensure they can do it in style. Each features the Sheaffer White Dot of quality and prestige, is fitted with a blue refill and comes with a 1-year warranty. I love the pretty coral shade in particular. 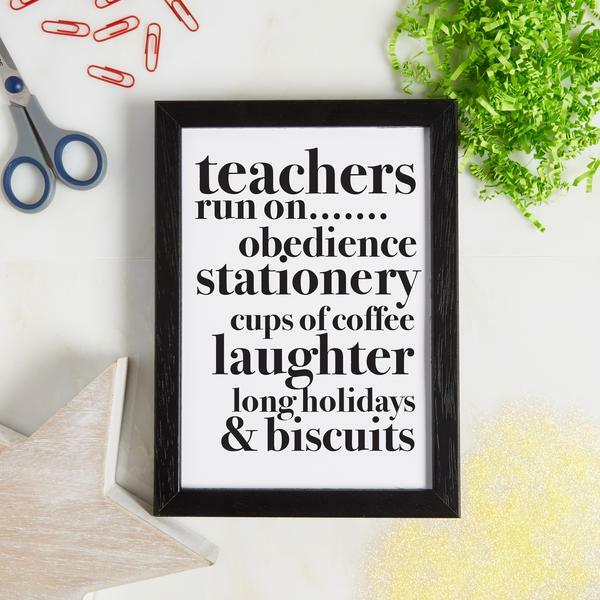 Personalised gifts are always treasured and this product from Coconutgrass really hits the nail on the head when it comes to what teachers run on! Availble in A4 or A5 sizes this playful print can be hung on the class wall, or at home, to be viewed time and time again. With an option to get it framed too it will look really smart once in place. Tote bags always come in handy, whether it's for transporting books or shopping, and this canvas version designed by leading contemporary artist Tracey Emin is the latest edition to the Royal Academy of Arts shop. It features a cute rabbit to the front and as it has a popper opening and a pocket inside it can really help to keep a special teacher's belongings organised. It's a stylish yet functional present. The Folio Society has been publishing beautifully printed books of the world’s finest literature for the past 70 years and wrapping up a copy for a teacher this term would be a wonderful gift. 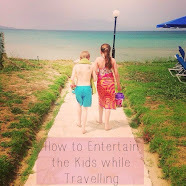 You could get them a firm favourite or find something new for them to fall in love with over the summer break. Either way, it will give them a chance to relax. Pride and Prejudice is a classic read and this version is bound in metallic cloth and features illustrations by Anna and Elena Balbusso. 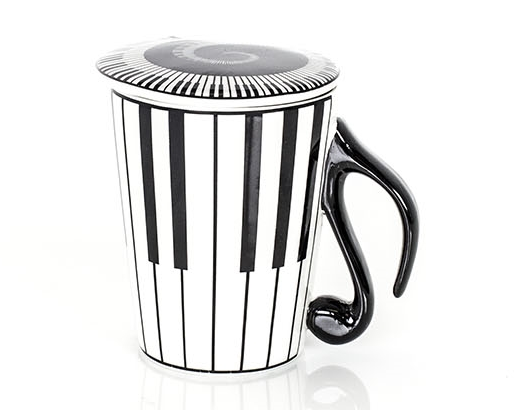 Whether your teacher is musical or just a fan of tea and coffee, this mug and lid will keep their caffeine fix hotter for longer. It is decorated with piano keys and with a music note as a handle it certainly makes a statement - there is no chance of this going missing in the staff room! It's a fun and quirky essential. There are some really lovely ideas here! I always struggle with original ideas to get my girl's teachers at the end of the year. Now I don't need to struggle as you have given me some fabulous ideas! Some lovely ideas here - I still need to get mine. Some great ideas here. I tend to go for the chocolates or a candle route! That biscuit tin is my favourite. I do wonder how many "best teacher" mugs poor teachers end up with in their cupboards at home! Getting something for our teachers has been on my to do list for ages and no doubt i'll be leaving it until the last minute as usual, some great ideas here though so maybe I can be organised. The Folio Society book is a lovely idea, my parents used to give me Folio Soc books when I was younger and I still treasure them. Oh Emma, there are some ace ideas here. I always seem to end up opting for the box of chocs/bottle of wine option, but this year we've been super organised and I've managed to order a personalised tote bag. I do wish I'd seen this post first though as there are some fab ideas. Some great ideas! I still need to get Leo's teacher gift sorted! I worked at a school before and not many people actually bought the teachers a present! They used to get a lot of thank you cards though which I thought was nice. These are some lovely ideas though. I especially like the biscuit tin -how smart do they look?! I find it such a struggle with the new tradition of giving the teacher gifts, when I was at school it was never a thing. Having friends that are teachers and teaching assistants, they're really not bothered, although I have been told that chocolates are always appreciated! I always struggle with what to buy the teacher I usually just go with chocolates because that's easy but I love your ideas. I am a teacher and never, ever expect parents to buy me anything. The joy of teaching their children and seeing the change in them and the expanse of their abilities, knowledge and skills throughout the school year is more than enough for me. It is always humbling when parents buy me something, it makes me feel that I am doing something right for their child. I appreciate any gift, and not the amount it cost. But, as a parent myself, I know there is often competition between parents to buy the teacher the best, most expensive present and I do think it has got way out of hand!